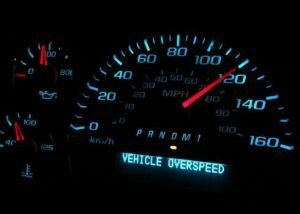 Many people think that speeding and traffic tickets are not a major concern. The truth of the matter is that traffic infractions can impact your life in many ways. They can lead to increased insurance premiums, missed time from work, financial penalties, and possibly the suspension of your driver’s license. If you have a job which requires you to drive for a living then receiving too many tickets can result in disqualification from employment. I am a Peoria speeding ticket attorney who assists Illinois residents in the handling of such matters. If you wish to speak with a lawyer then contact my office today. A speeding ticket can have additional ramifications on top of the ones described above. If you miss your court date or fail to pay your fine then you may have to deal with a traffic warrant. If you drive a commercial vehicle then you may face the risk of a CDL violation. Also, you may be forced to miss work depending on the type of violation. Cases where you will be required to attend Court include those where another suffers injury, situations where you were caught driving without insurance, or matters where the minimum fine is over $95. Hiring an attorney can assist you in gaining the best possible resolution to your situation. As a Peoria lawyer, I go to Court for clients who have received speeding tickets. I am a former prosecutor with over twenty years of legal experience. I am familiar with the local legal system and will work to help you put the situation behind you. This will include going to Court, negotiating with prosecutors, and concluding the matter as quickly as possible. I am also able to help with matters including reckless driving, DUI, failing to signal a lane change, distracted driving, and more. If you need to speak with an attorney then contact my office today. I understand that you have important things to worry about in your life. A traffic ticket or speeding violation may have to take a back seat when it comes to your career, family, and other obligations. I will resolve the matter for you as efficiently as possible while providing a quality level of service. This includes promptly returning your phone calls, quickly responding to emails, and making sure that your questions are answered. I focus on the law so that you may focus on life.